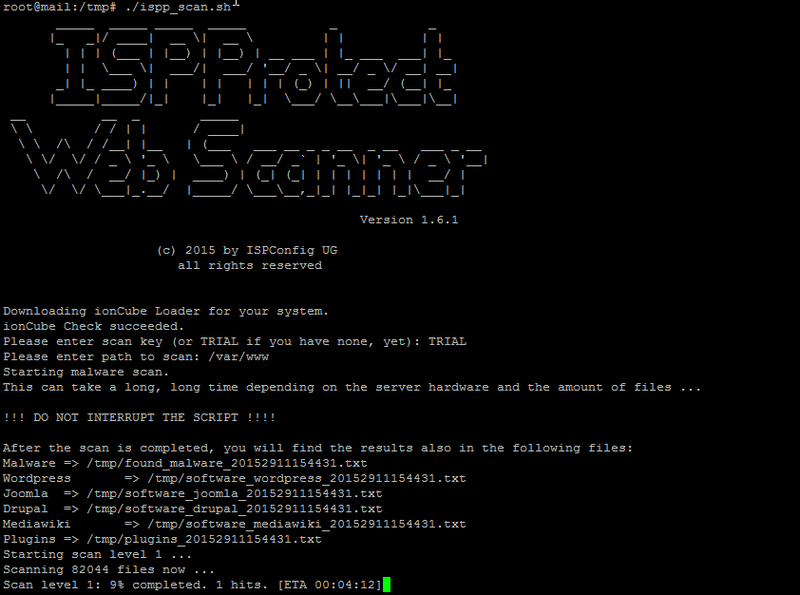 ISPProtect is software to detect malware in your web server. It contains a powerful scanning module like a signature-based scan engine and a heuristic scan engine to detect malware in websites and web-based server. ISPProtect is developed by an ISPConfig team which is widely used Open Source web hosting control panel all over the world. It scans CMS and shop systems like WordPress, Joomla, Drupal, Magentocommerce, etc. It gives you trial chance to use ISPProtect and there is no need to register, just download the package and start scanning, at the start point they ask for license key then select “trial”. 1. It detects malicious process from a web server, and sends out spam messages with email. 2. You can recognize a high load on a server. With website access stats. 3. For hosting company, ISPProtect gives a daily report of malware, you can set them for weekly and monthly also. 4. If you can’t get an update from web server software than ISPProtect detects them and will send a notification to your computer to update it. 5. For Linux based system, add ISPProtect in the toolset. Grab a license of ISPProtect, configure in your web server and let them do to scan for harmful virus, malware. 2. 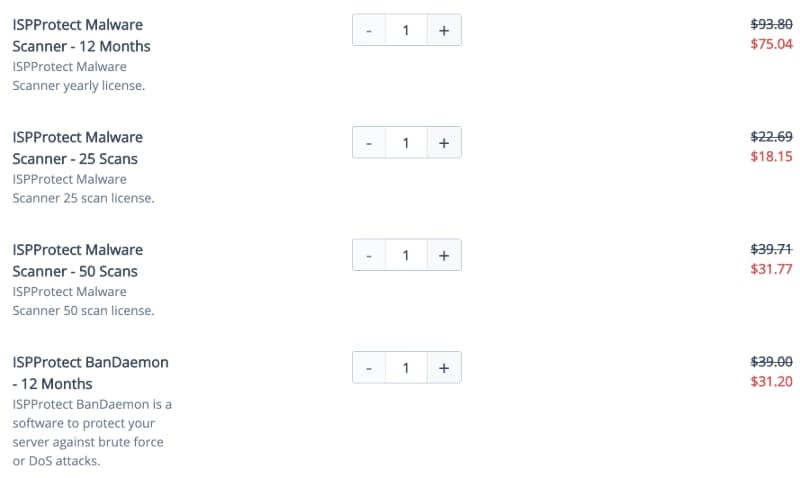 All the coupon codes are valid for long time, or I'll claim the expire date clearly. 3. In general, the coupon can be applied for all products of ISP Config. 4. For other product of the same developer, you may need to copy the code at first, then manually appied it in check out page. Copyright © 2018 SaaS Coupon. All rights reserved.